Flying Long Haul | What’s In My Hand Luggage? We are getting ready for our (early) summer holiday in the next few weeks. While I love travel and love flying, it is a whole kettle of fish with little ones. Now that they’re four and six, they’re not too little, and more does keep their attention. But with an eleven hour flight to Hong Kong coming up (and a transfer to Bali), there are plenty of things that I need to do to prep to keep the children entertained. The bonus of long-haul flights is that you get some on-board entertainment. So that should take up a couple of hours for the kids, as long as something decent is on. But what else should I be packing in my hand luggage? I always panic that I don’t have a pen or notebook, from one time that I flew to the US and didn’t have a pen to write out my holiday visa card (before the ESTA was done online). So I always pack a pen in my land luggage. 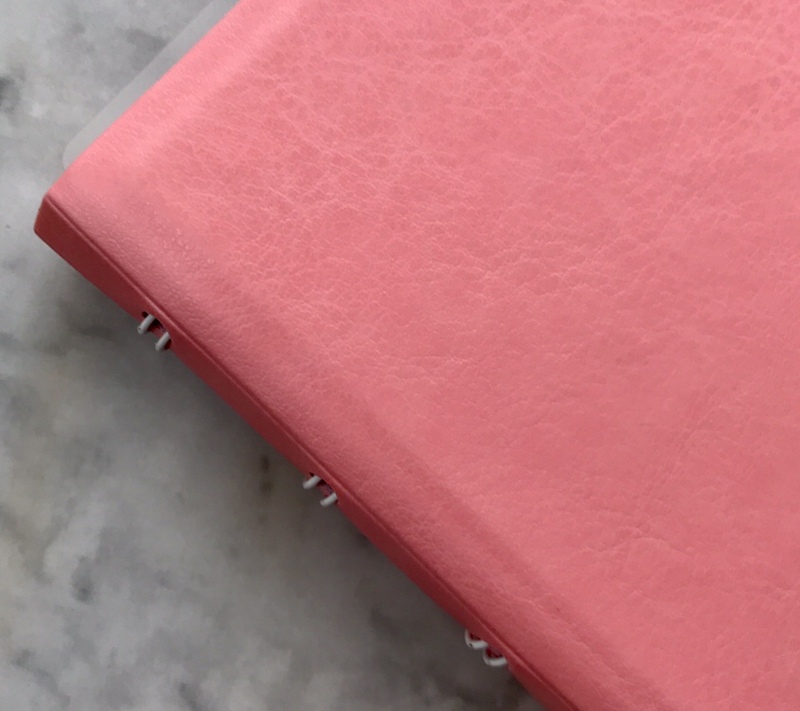 But having a notebook or pad, like this gorgeous coral Filofax one (priced at £12.99), to write on or doodle on is always a good idea. 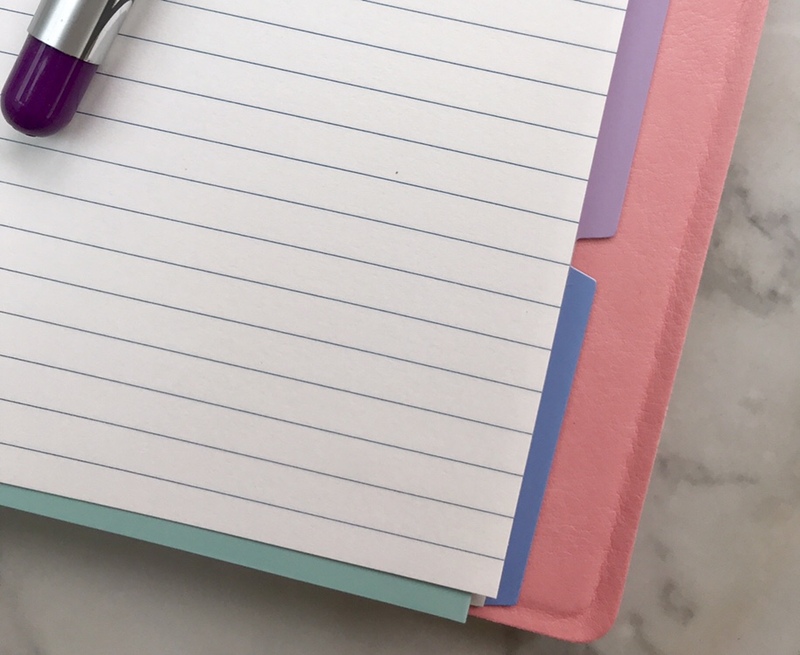 Writing a holiday agenda or bucket list can be a good idea too, as well as the sights that we want to see. It is also good to write down things like shopping lists on the occasions that we are self-catering. 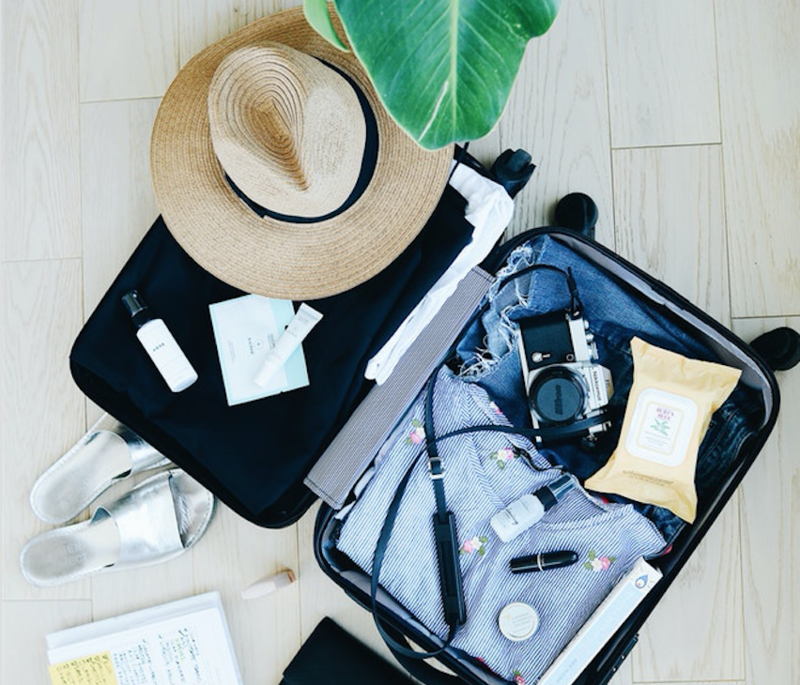 Here are some more essentials for my hand luggage – is there anything else you would add to the list? 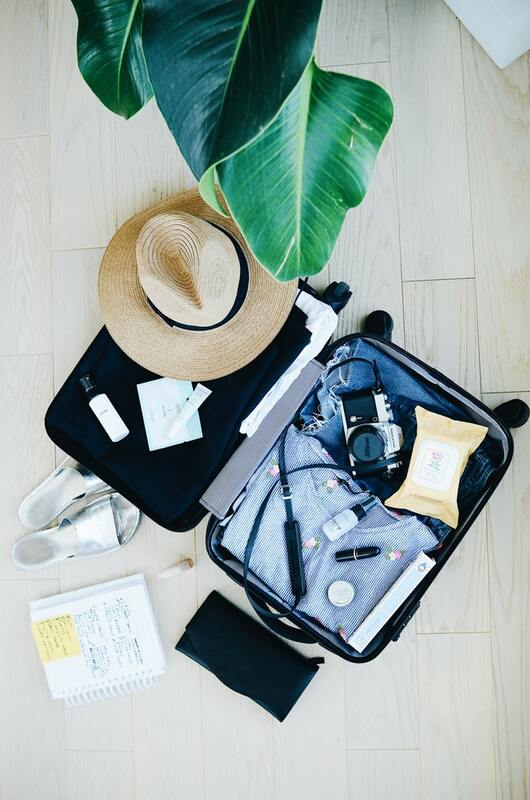 Important documents: boarding pass, passport, flight itinerary and transportation or accommodation plans, including a paper address of where you’re staying. As stated above, I might need them for immigration forms, and it may be helpful for with taxi drivers too. Of course you need a perfectly sized, practical and classy hand luggage bag. But I’d also recommend taking a rucksack or beach bag, that way I can use it for day trips once we arrive in Bali. Whether you decide to use the rucksack as your hand luggage or put it inside a bigger piece of hand luggage bag is up to you. Rucksacks are practical as well as on trend so embrace them. Clear bag for your toiletries; hand lotion, lip balm, deodorant, toothbrush and mini-toothpaste are some of the suggested necessities. Also face wipes to help you freshen up; it’s easy to feel groggy after a trip in the sky and planes tend to dry us out, rehydration moisturiser is a top tip. Remember, 100ml bottles only! A little Mascara will go a long way and open up your tired eye – it is my dream makeup item. Spare undies are the next best thing to s shower sometimes, especially for long haul flight where you can be awake for basically a day. It’s also a good idea to pack a change of clothes or two, just in case your checked bag goes walkies. The same applies for valuables such as jewellery, your purse or wallet, money, camera and keys. It’s safer and more comforting to keep them within your reach. A book you’ve been dying to read and a travel playlist will ease boredom. When you’re feeling sleepy, ear plugs and an eye mask are winners. If you’re there for the long haul, a travel pillow or blanket could help get you in that zone. Don’t forget a cardigan. It can get chilly up in the air, so although you may have packed solely swimwear and summer tees, an extra layer in the air ease your goosebumps. Now, I just need to face an eleven hour flight with little ones…! Wish me luck. Long haul flight scan be a nightmare. It’s important to pack the right items within the weight limitation. That’s a good list it covers most of what I would think to take too. 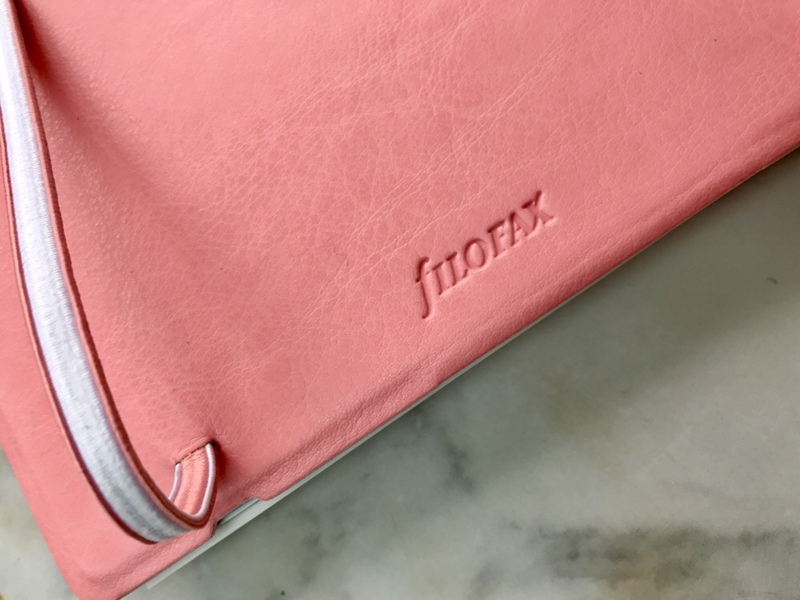 That pink Filofax is gorgeous! I love the tip about the mascara too, it’s definitely one of the best make up items out there that instantly makes you look a bit more refreshed. I always forget to take any form of moisturiser in my hand luggage when I travel! I’ll have to remember that for next time. Our travel bags sound almost identical – although I also pack wooly socks because my feet freeze on a flight.